Search for all "Adenovirus IgM ELISA Kit"
The Adenovirus IgM ELISA Kit is a solid phase enzyme-linked immunosorbent assay (ELISA). 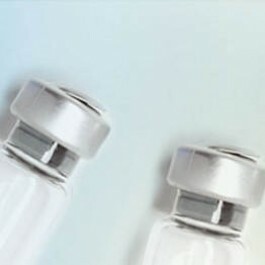 Specimen samples are diluted with Sample Diluent and additionally incubated with IgG-RF-Sorbent, containing hyper-immune anti-human IgG-class antibody to eliminate competitive inhibition from specific IgG and to remove rheumatoid factors. This pretreatment avoids false results. Microtiter wells as a solid phase are coated with inactivated Adenovirus grade 2 antigen. Pretreated sample specimens and ready-for-use controls are pipetted into these wells. During incubation Adenovirus-specific antibodies of high-analyte specimens and controls are bound to the immobilized antigens. After a washing step to remove unbound sample and control material horseradish peroxidase conjugated anti-human IgM antibodies are dispensed into the wells. During a second incubation this anti IgM conjugate binds specifically to IgM antibodies resulting in the formation of enzyme-linked immune complexes. After a second washing step to remove unbound conjugate the immune complexes formed (in case of analyte presence) are detected by incubation with TMB substrate and development of a blue color. The blue color turns into yellow by stopping the enzymatic indicator reaction with sulfuric acid. The intensity of this color is directly proportional to the amount of Adenovirus-specific IgM antibody in the sample specimen. Absorbance at 450 nm is read using an ELISA microtiter plate reader.